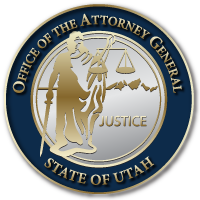 SALT LAKE CITY August 14, 2017 – After consultation with Utah Governor Gary Herbert and his agencies, the Utah Attorney General’s Office will not appeal the decision of US District of Utah Judge David Nuffer’s to allow the US Drug Enforcement Agency (DEA) access to the state’s Controlled Substance Database to obtain prescription drug records for an investigation. While the decision is limited to the DEA’s exercise of administrative subpoena power for its investigation, Utah law continues to require other non-federal law enforcement to obtain a warrant prior to gaining access to the database. However, after consultation with the Governor’s Office, the DEA, and Legislative leadership, the Attorney General’s Office will pursue legislation that will introduce additional safeguards, protections, and limitations on who can access the prescription drug database. While it is important that law enforcement have access to necessary tools to fight the illicit use of prescription drugs in the fight against the opioid epidemic, it is critical that individuals privacy and constitutional rights be protected from violation or abuse. This entry was posted in Recent Posts and last updated on August 24, 2017 .